Healthcare is a rapidly growing employment sector. Ohio alone employs more than 240,000 individuals in the nursing industry. Roughly half of these are registered nurses (RNs), who make independent patient care decisions under the guidance of a physician. 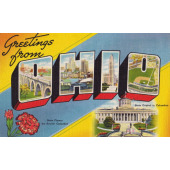 Ohio’s RNs typically earn between $50,000 and $70,000 annually. RNs frequently manage teams of more junior nurses, including licensed practical nurses (LPNs) and certified nursing assistants (CNAs). There are approximately 40,000 LPNs and 70,000 CNAs in Ohio, earning a median annual salary of $40,000 and $24,000, respectively. Prospective nursing students should carefully consider their career path to maximize the return on their education investment. Ohio’s nursing schools offer a broad range of top-notch programs. The cost of nursing education includes several important components like tuition and fees, books and supplies, room and board, and living expenses. Given the significant costs, nursing students must budget their educational expenses vigorously and weigh important choices like school and program type. Two critical factors impact the total cost of nursing education: program length and institution type. The three nursing roles require substantially different program lengths. For example, CNA certificate programs take only a few months to complete, while RN degree programs require two to four years of fulltime study. Obviously the shorter the program, the less expensive it is. Institution type, particularly public versus private, also makes a significant difference in the cost. Ohio students enjoy in-state rates at public schools like University of Akron, significantly lowering the cost of education. To help Ohio’s prospective nurses weigh their options, we have listed below some of the state’s top nursing programs from most to least expensive.